LCD Projectors. Smartboards. Internet Filtering. Televisions. There can be a lot of technology in a school building. There are certainly tons of companies who want to sell it to schools. Buzzwords abound but is it the right tech? I walked the aisles of the expo at ISTE and saw some incredible stuff. The robots, augmented reality devices, the Google booth with demo after demo. But I also saw a TON of sales pitches. Tons of “Interactive White Board” companies and Internet blocking/filtering. Lots of Apps that will give you 7 days for free and then ask for a few thousand bucks to provide their service to all of your students. Is any of this improving education?? How much better is an interactive whiteboard than a chalkboard? (I don’t think it’s $1500 better… ) And isn’t a plain old whiteboard interactive when you write on it? Why keep buying technology that keeps a teacher at the front of the room and students seated quietly in rows following the lockstep rules? We are in an age of cheap information and easy access. We need devices in every student’s hands. Student’s accessing the web in their palms every hour except when they are in school are going to find a better way than our traditional schools to get a great education. We need to be precise in our technology purchases. We need to consider what is happening in classrooms before diving headfirst into the newest technology. 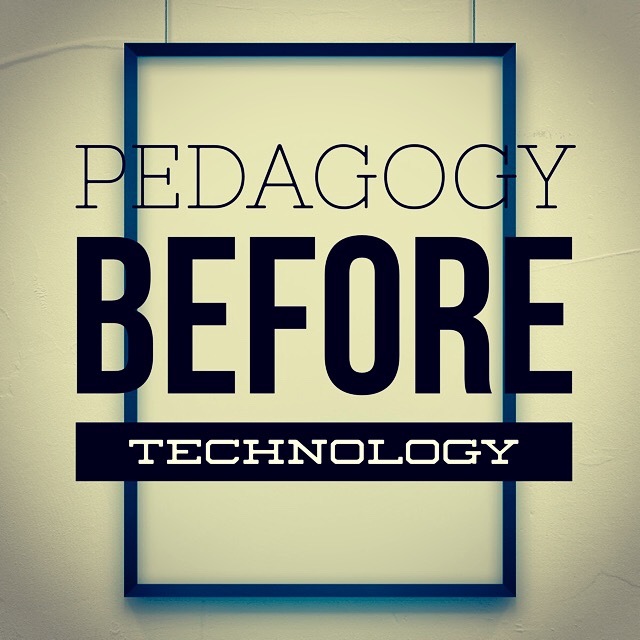 Make tech a part of your classroom experience. But make it transform the way you teach, not substitute for traditional methods just to be able to check off the box that says you use technology. Using the right technology is messy and difficult and a very foreign experience even for those that embrace change. But it is also liberating, uplifting and trasnformative. The kids deserve this kind of environment. So do you. ← Happiness is a choice. So is social media. Edcamp Garden State – Year 2 Reflection!